2 Bedroom Semi Detached House For Sale in Manchester for Offers Over £125,000. 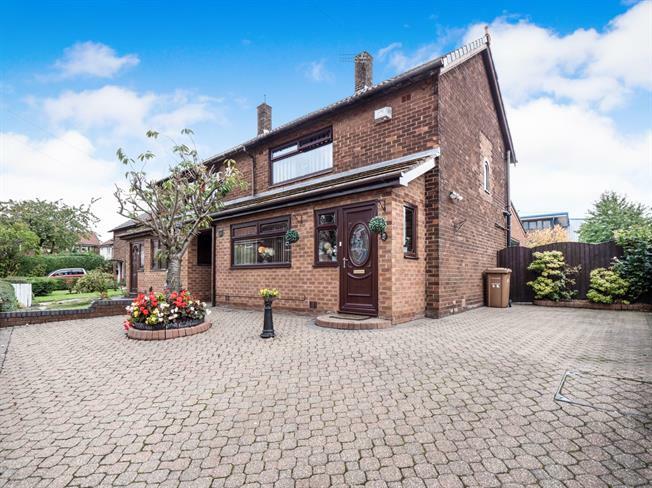 This immaculately presented semi-detached property has been extended to the rear providing an incredible open plan kitchen diner. The rear garden must be seen to be truly appreciated, the incredible size is split into three compartments offering a patio seating area, landscaped lawn with mature flower beds and at the far rear a vast block paved area with storage sheds. Internally the property is well presented throughout, featuring a porch, entrance hall, spacious lounge and the incredible modern kitchen diner with integrated appliances. To the first floor are two double bedrooms and a wet room. The front is block paved providing off road parking for several vehicles and there are mature flower beds. 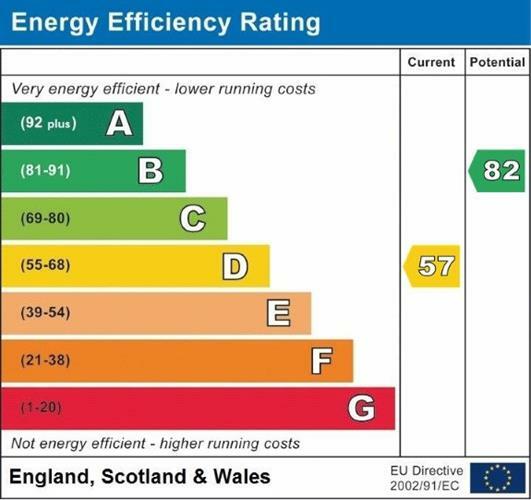 Further benefitting from a modern gas central heating system and double glazing throughout. Viewings are highly recommended! UPVC front double glazed door. Double aspect double glazed uPVC windows facing the front and side. Carpeted flooring. Hardwood single glazed door. Carpeted flooring, built-in storage cupboard housing meters and stairs to first floor. Double glazed uPVC window facing the front. Radiator and electric fire, carpeted flooring. UPVC sliding double glazed door, opening onto the garden. Double glazed uPVC window facing the rear overlooking the garden. Radiator and heated towel rail, tiled flooring, under stair storage cupboard and boiler, part tiled walls. Granite effect work surface, wall and base units, stainless steel sink with mixer tap and drainer, integrated electric oven, integrated gas hob, stainless steel extractor, space for washing machine, washer dryer and fridge/freezer. Loft access . Single glazed hardwood window facing the side. Carpeted flooring. Double bedroom; double glazed uPVC window facing the front. Radiator, carpeted flooring and built-in storage cupboard. Double glazed uPVC window with obscure glass facing the rear overlooking the garden. Heated towel rail, tiled walls. Low level WC, pedestal sink and wet room shower unit.